Prices for northern live export cattle in Darwin have slipped by about 10 percent since the start of March as dry conditions maintain supply pressure on the market. The northern cattle industry is preparing for the Northern Territory Cattleman’s Association conference in Darwin at the end of this week, a popular annual get together which usually marks the end of the wet and the start of the first dry-season mustering rounds. However this year the failed northern wet season means most station paddocks have remained accessible right through, preventing the usual tightening of supply in relation to demand which underpins higher prices prior to the traditional seasonal flush of supply commencing in March/April. Experienced NT cattle agent Paul McCormick from Elders in Darwin said many of the bigger and drier properties are now completing first mustering rounds at a time when they would normally only just be starting. 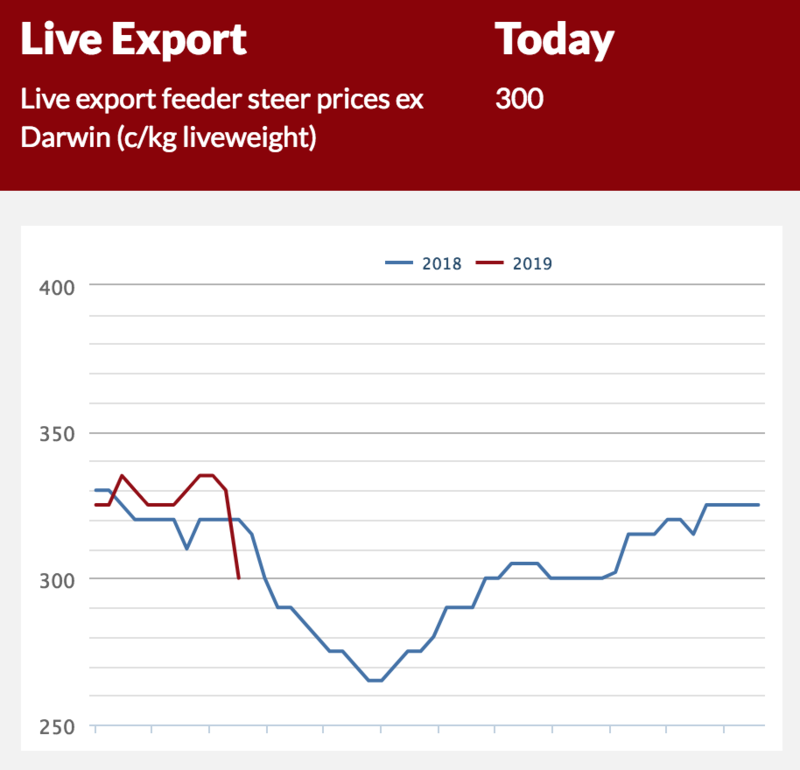 Relatively strong export activity to Indonesia and Vietnam during January and February kept prices for live export steers ex-Darwin around the 330c/kg mark. 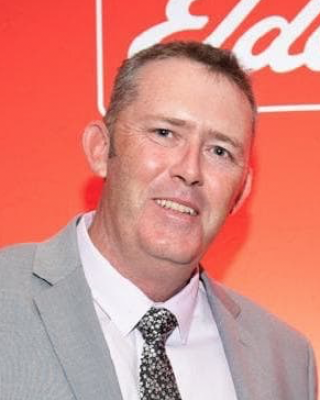 However prices have retreated by about 30c/kg since the end of February, due to a combination of strong supply coming forward and fewer shipments occurring during March, Mr McCormick said. Cattle being shipped this week would have been contracted a couple of weeks ago at prices of around 310c/kg. Cattle being contracted this week are more likely to be around the 300c/kg mark, ranging 10c either side from spot price of 310c for quick delivery to 290c/kg depending on whether you have to buy or have to sell. 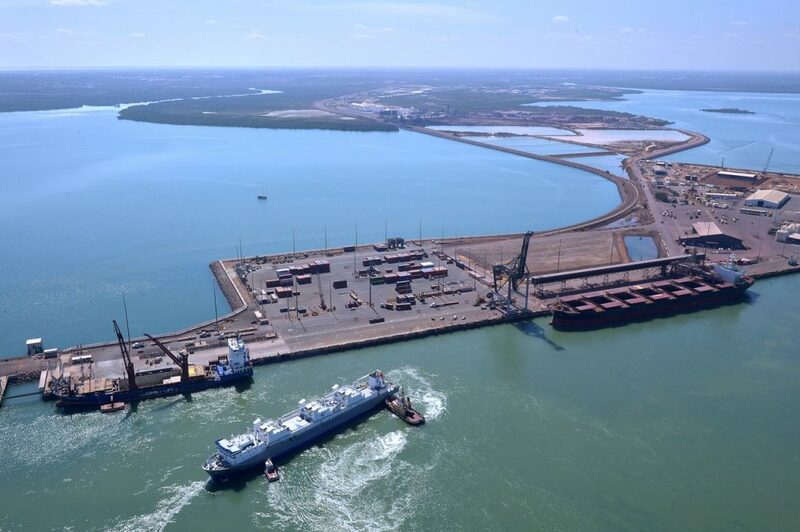 Mr McCormick said export activity from Darwin has been far more limited during March with northern shipping activity during the month being focused out of Townsville and to a lesser extent Rockhampton, as big numbers of cattle from dry Central Queensland are pushed toward the export market. “Certainly plenty of cattle are exiting Australia for Indonesia and Vietnam, but you go fishing where the fish are,” he said. Asked where he believed live export prices would go from here, he said the market is currently on a “knife’s edge”. If dry conditions persist, as current forecasts suggest, further price declines would appear likely in the months ahead. There is some potential for the current rain system created by ex-Cyclone Trevor to relieve turnoff pressure in dry areas of the NT and western Queensland, although at this point the falls have not been as widespread as last week’s forecasts indicated. Mr McCormick said that while the live export market is likely to have good continued access to cattle for the next few months, numbers may then start to run short raising questions about whether there will be sufficient supply in the back half of the year.